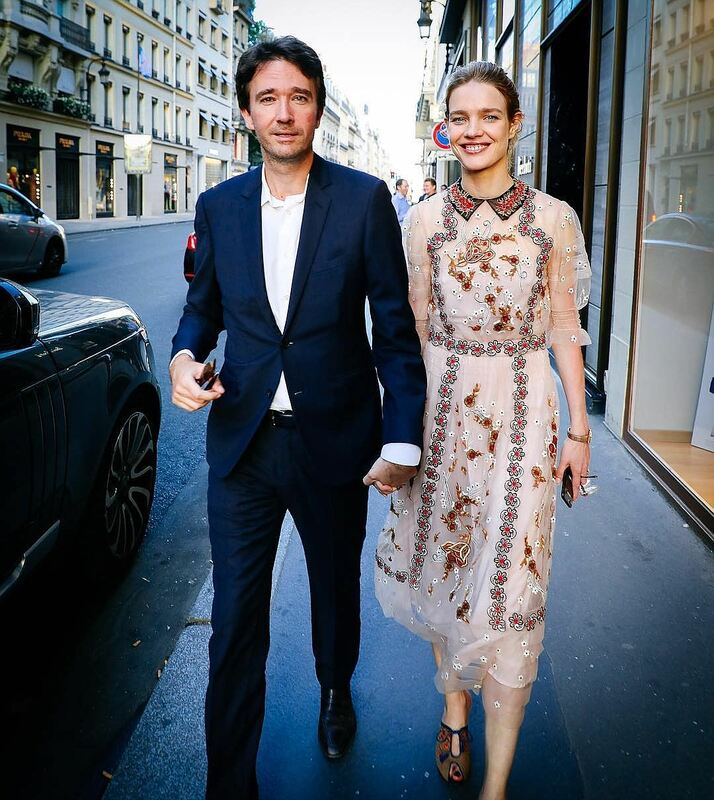 In June, Natalia Vodianova and French millionaire Antoine Arnault celebrated the six-year anniversary of their relationship. Natalia Vodianova divorced her husband, British lord Justin Portman in 2011, and they were going through so much with this divorce. Former spouses could not find mutual understanding for a long time - Justin did not want to let the beautiful wife go. But they reached agreement: the children of the model 15-year-old Lucas, 11-year-old Neva and 9-year-old Victor often see their father. Along with Portman, the children traveled for almost a month to Africa, going on a safari to the reserves of Kenya and South Africa. 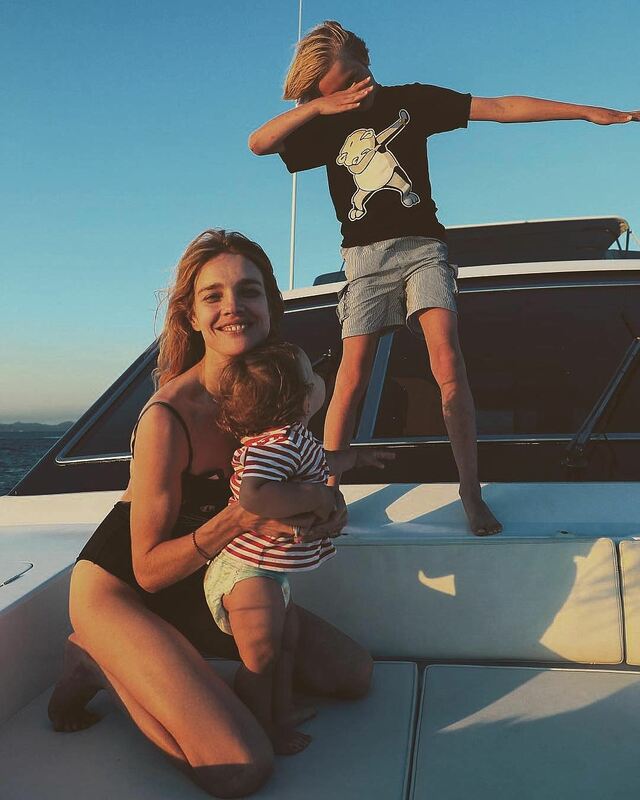 Now, Vodianova and her new life companion Antoine Arnault are on vacation in the south of France, riding a yacht and sunbathing on the beaches of the Côte d'Azur. The last month of the summer, Vodianova's offspring will spend with her in America. 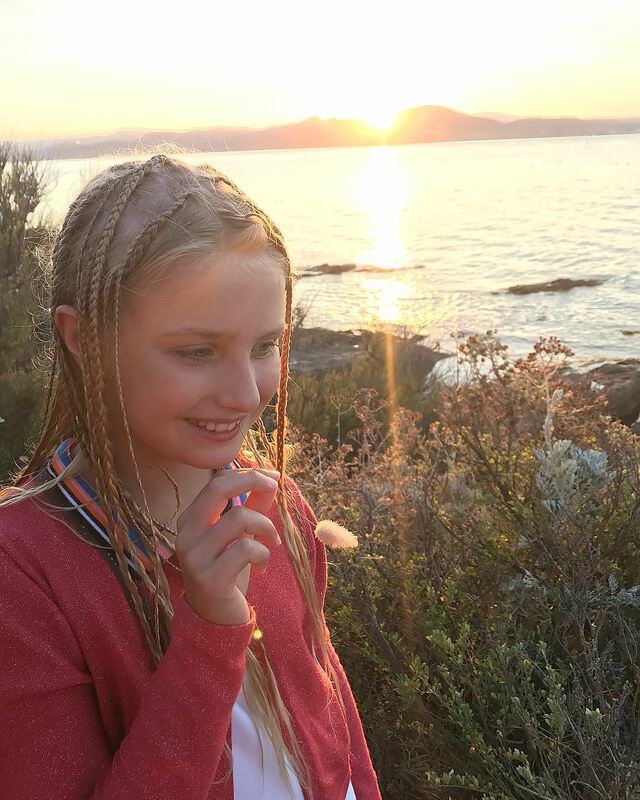 "They have been studying hard all year and have deserved a good vacation," Natalia believes. Natalia and Antoine chose to relax in Saint-Tropez - a resort town near Nice and Cannes. The model shared several touching family photos. Fans of Vodianova noted that her daughter Neva grows a real beauty. The 11-year old girl is made to have the same successful career of the model as her mother. Neva - a long-haired blonde with blue eyes, and very similar to Natalia. The model photographed her youngest son - Roman who was born a year ago. Natalia poses with a baby on the deck of a yacht in a swimsuit: the subscribers of model showered her with compliments, because she looks very slim and fragile. But most of the comments were caused by a picture, in which the model is seen posing together with her first-born son. Tanned Natalia without makeup looks like her 15-year-old son's age. Moreover, recently Lucas has grown very much and matured. In June, Natalia Vodianova and Antoine Arnaud celebrated the sixth anniversary of their relationship. On the anniversary the model prepared an unusual gift for the life companion - the couple went to play golf in St. Andrews. The French millionaire is a passionate admirer of golf, so the surprise was a success. The model and top manager of the famous fashion house began dating in 2011. The initiator of the meeting was Antoine - the son of billionaire Bernard Arnault, the wealthiest man in France and one of the richest people in the world. The Arnault family owns the most luxurious company on the planet - the fashionable empire of Louis Vuitton Moët Hennessy. For the first time Antoine saw Natalia in 2008 - at that time she was married to the British lord Justin Portman. Arnault then headed the communication department of the fashion house Louis Vuitton, and Vodianova starred for the advertising campaign of this brand. "Natalia does not even remember this," Antoine said in an interview. "And I saw her for the first time and had the slack-jawed look." She, of course, is beautiful, but there is something special about her - look, absolutely special aura. The paire have been together ever since. Many wonder why, having two common children, they don't go into marriage? As Natalia assures, she already feels that they are married - a marriage license will not affect this fact in any way. Vodianova is also captivated by the fact that Antoine quickly established contact with her children. "When you suddenly have five children in two and a half years, this is the most wonderful thing in the world," Antoine said. - Not only our common children, but also her children. The father of three Vodianova's children Justin Portman now lives in Uruguay - he has a house in the fashionable resort of Punta del Este. Neva, Lucas and Victor often fly to his father to Uruguay and spend all holidays with him.